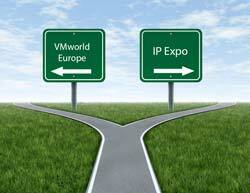 IP Expo or VMworld Europe? With VMworld in San Francisco, which I couldn’t attend, now a distant memory my thoughts have turned to attending the European replay to be held in Barcelona this October. 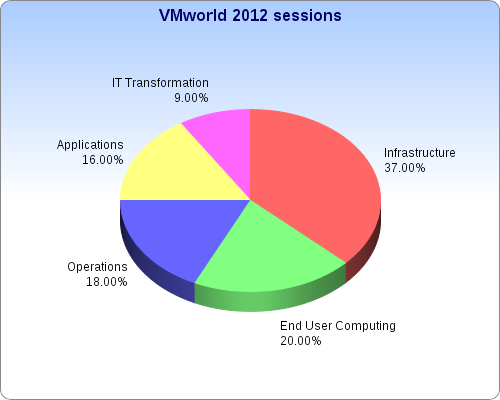 As VMware have grown over the years so has the conference (see some stats and how competing conferences compare) and as I always tell my team it isn’t just a virtualisation show it covers all aspects of infrastructure. The downside is that VMworld isn’t vendor neutral (the clue is in the name!) so you won’t see Microsoft, Citrix, or Amazon solutions despite their increasing relevance to those interested in the enterprise cloud and virtualisation industry. I have to fund my own way to VMworld every year (though a blogger’s pass to the conference takes care of the lion’s share) so I’m definitely concerned with getting value for money. In the UK’s there’s a competing show, IP Expo, which for the last few years has clashed with VMworld Europe and does again this year. In the future I’m hoping this will change as the current venue, Earls Court, is due to be sold so alternative arrangements will have to be made. Unlike VMworld, IP Expo is vendor neutral so there’s a level playing field and you can investigate solutions and technology from all parties (hey, even Oracle are there for those 1% who use OVM!). VMworld has always focused on infrastructure more than the application tier and with the spinoff of Pivotal earlier this year that seems likely to continue whereas IP Expo tends to be more well rounded. It’s interesting to note that Annika Jimenez, lead data scientist at Pivotal, is a keynote speaker at IP Expo while the VMworld keynotes were remarkably Pivotal free. 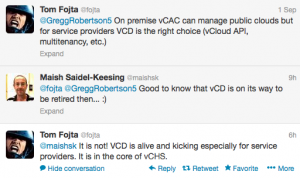 For VMware focused technical content you can’t get anywhere else. There are over 265 sessions throughout the three days and while some are still heavy on the marketing there’s plenty of deep dive technical sessions. Group discussions are also an invaluable way to quiz senior engineers directly, something that’s very hard to do in any other http://imagineear.com/pharmacy/buy-tramadol/ forum. The onsite labs also offer a chance to get hands on with the latest technologies although there is a public beta still running outside the conference and the IP Expo labs look to be centered around Amazon and Oracle solutions. It’s three days of technology immersion, not two (unless you’re a partner in which case I’m assuming you’re going to VMworld regardless). Frankly it’s impossible to do justice to all the content in three days let alone cover even more ground with more exhibitors in two days! It’s the centre of the VMware universe for those three days. Anyone who’s anyone in the VMware ecosystem will be there – vendors, technical experts, bloggers etc. In theory there will be some announcements from VMware but in the past anything significant obviously comes out first at the US show. For career networking these are the folks you want to meet. It’s a conference, not an exhibition – it’s NOT free and therefore should be more educational and less sales focused. By introducing a barrier to entry it ups the ante – people don’t show up just to have a day out of the office :-). Vendors know that attendees have paid good money to be there so value your time (well, some more than others), VMware prepare a lot of content, and the other attendees you meet <assumption>tend to be more senior and focused</assumption>. Why go to IP Expo? It’s free. No costs and easier ROI to justify, less planning upfront required! It’s free. Did I mention that already? You can register here. It’s vendor neutral. You can see solutions from all the competing vendors in one place (including a VMware zone). It’s only two days so less time out of the office and less disruption to your workload. Amazon are the primary sponsor this year, the first time they’ve sponsored a third party event in Europe. Did anyone say Amazon are targeting the enterprise? 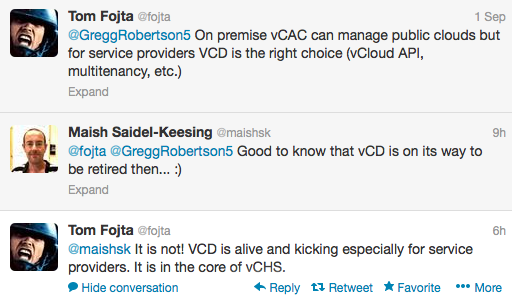 Even if VMware is your lifeblood you need to know your competition (or coopetition) :-). 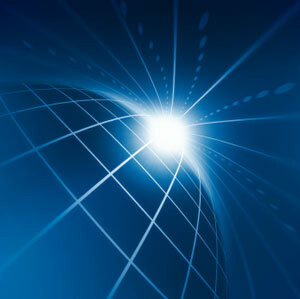 If you’re interested in the application layer as well as infrastructure, IP Expo has more of interest. Which will you attend and why?